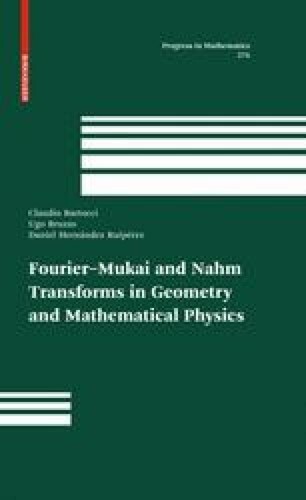 Mukai’s 1981 paper  contains, in one way or another, in a more or less explicit form, many of the ideas that have been introduced and developed in subsequent years in connection with Fourier-Mukai transforms. Thus these ideas are often at the core of the theory of integral functors that we have quite systematically developed in the first chapter of this book. As a result, we can prove most of the results presented in this chapter quite straightforwardly. So, while the treatment of this chapter is fairly close in spirit to the original paper by Mukai , the details of the arguments are often rather different.